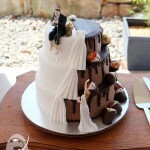 James & Mel were married in April this year and held their reception at Kingston House Impressions in Gympie. The venue was decorated so beautifully, making great use of natural timber, and green colour accents. 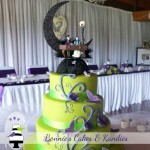 As for the wedding cake…it was green too! Mint, to be more accurate, but green nonetheless! 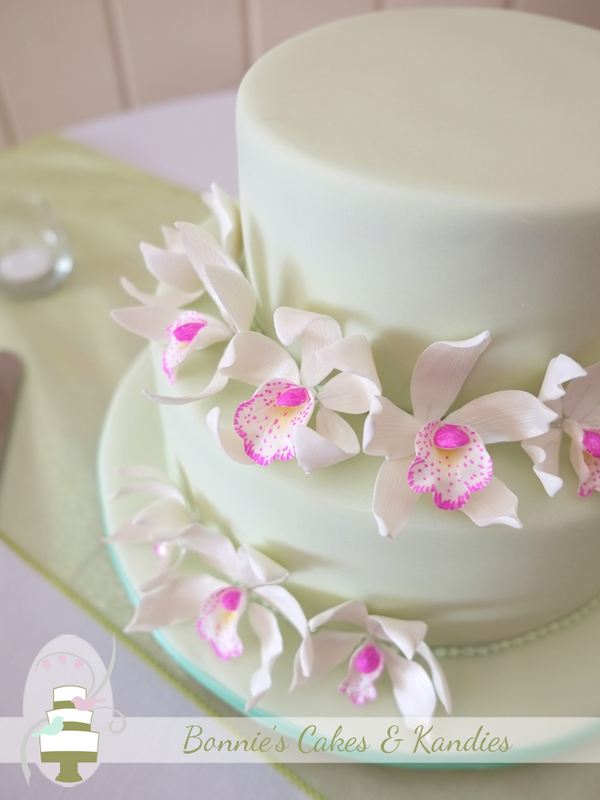 I made edible cymbidium orchids to decorate the cake, which tied in with the flowers used in the bridal bouquets. 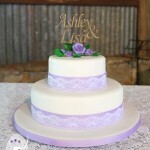 The design of this cake was provided by just a description from the beautiful bride herself! I was very happy with the final result. We can’t talk about cake without talking about flavours. 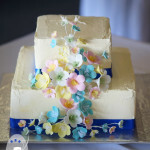 Mel & James chose carrot cake for the top tier, and white chocolate mud cake for the bottom tier. It was such a pleasure to work with this lovely couple. 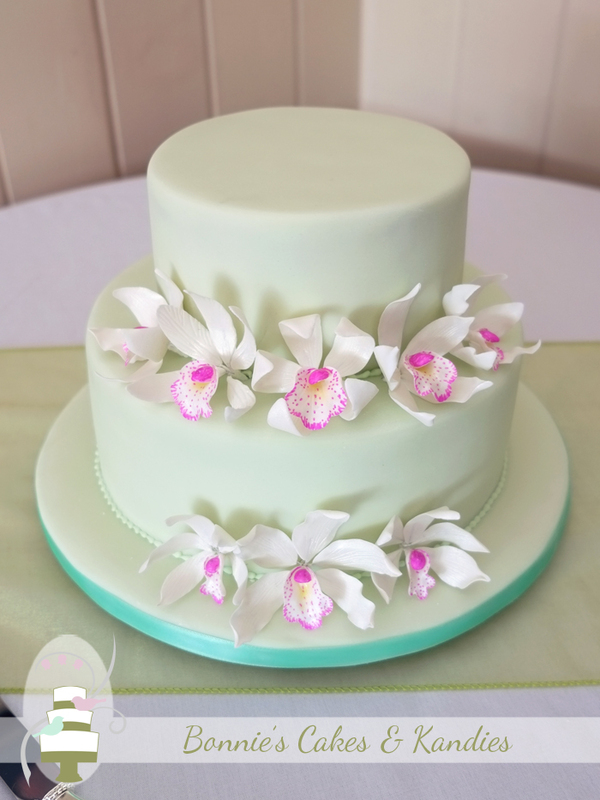 To Mel & James – thank you for allowing me the honour of creating your wedding cake, and for trusting me to bring your vision to life. 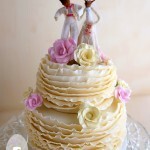 All the very best to you both for your happily ever after.